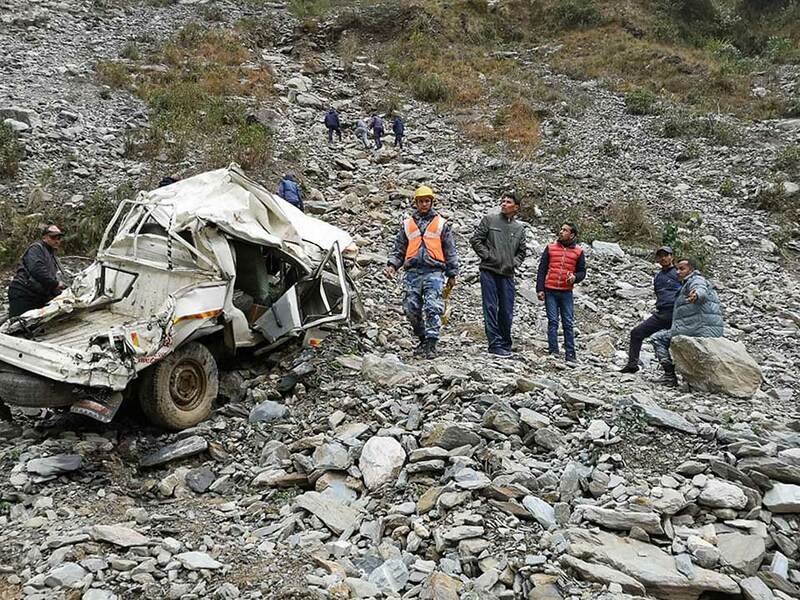 DARCHULA, March 2: At least 11 people have died when a jeep met with an accident in Duhu Rural Municipality in the district on Friday evening. The accident took place when the ill-fated jeep, Ma 1 Ja 280, heading to Hikila from Darchula plunged some 300 meters down into the Mahakali River at 8 pm today. Local police officer Rabindra Kadayat told Republica Online that six women, four men and another girl child died on the spot and the dead bodies have been recovered. The rescue work has been hit due to inhospital terrain and lack of light. A total of 12 people were traveling in the jeep. Driver Dipak Dhami was rescued from the accident site and immediately taken to India for further treatment, said Kadayat.